The amount of 25 USD has been withdrawn from your account. Accounts: U1355114->U15892435. Memo: Shopping Cart Payment. Deposit to Hour Hash LTD User ihyips.. Date: 20:53 07.02.18. Batch: 204456702. The amount of 25 USD has been withdrawn from your account. Accounts: U1355114->U15892435. Memo: Shopping Cart Payment. Deposit to Hour Hash LTD User ihyips.. Date: 06:51 09.02.18. Batch: 204595728. The amount of 7.42 USD has been deposited to your account. Accounts: U15892435->U1355114. Memo: API Payment. Withdraw to ihyips from Hour Hash LTD.. Date: 08:46 08.02.18. Batch: 204498650. The amount of 14.85 USD has been deposited to your account. Accounts: U15892435->U1355114. Memo: API Payment. Withdraw to ihyips from Hour Hash LTD.. Date: 06:50 09.02.18. Batch: 204595679. The amount of 22.28 USD has been deposited to your account. Accounts: U15892435->U1355114. Memo: API Payment. Withdraw to ihyips from Hour Hash LTD.. Date: 09:07 10.02.18. Batch: 204703438. The amount of 25 USD has been withdrawn from your account. Accounts: U1355114->U15892435. Memo: Shopping Cart Payment. Deposit to Hour Hash LTD User ihyips.. Date: 09:09 10.02.18. Batch: 204703550. The amount of 24.97 USD has been deposited to your account. Accounts: U15892435->U1355114. Memo: API Payment. Withdraw to ihyips from Hour Hash LTD.. Date: 08:32 11.02.18. Batch: 204785419. The amount of 25 USD has been withdrawn from your account. Accounts: U1355114->U15892435. Memo: Shopping Cart Payment. Deposit to Hour Hash LTD User ihyips.. Date: 08:36 11.02.18. Batch: 204785700. The amount of 2 USD has been deposited to your account. Accounts: U15892435->U1355114. Memo: API Payment. Withdraw to ihyips from Hour Hash LTD.. Date: 08:08 12.02.18. Batch: 204872639. The amount of 2.68 USD has been deposited to your account. Accounts: U15892435->U1355114. Memo: API Payment. 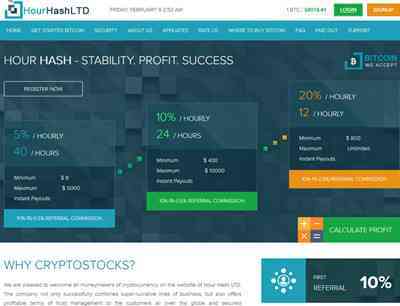 Withdraw to ihyips from Hour Hash LTD.. Date: 08:36 13.02.18. Batch: 204985276. 14.02.18 08:20;Account;Receive;Received Payment 4.44 USD from account U15892435 to account U1294000. Batch: 205100480. Memo: API Payment. Withdraw to allhyipsinfo from Hour Hash LTD.
14.02.18 05:01;Account;Receive;Received Payment 1.48 USD from account U15892435 to account U1294000. Batch: 205086730. Memo: API Payment. Withdraw to allhyipsinfo from Hour Hash LTD.
14.02.18 03:30;Account;Receive;Received Payment 13.32 USD from account U15892435 to account U1294000. Batch: 205082432. Memo: API Payment. Withdraw to allhyipsinfo from Hour Hash LTD.
14.02.18 18:38;Account;Receive;Received Payment 4.46 USD from account U15892435 to account U1294000. Batch: 205157382. Memo: API Payment. Withdraw to allhyipsinfo from Hour Hash LTD.
14.02.18 15:42;Account;Receive;Received Payment 12.00 USD from account U15892435 to account U1294000. Batch: 205141433. Memo: API Payment. Withdraw to allhyipsinfo from Hour Hash LTD. The amount of 0.65 USD has been deposited to your account. Accounts: U15892435->U1355114. Memo: API Payment. Withdraw to ihyips from Hour Hash LTD.. Date: 06:42 14.02.18. Batch: 205092887. The amount of 4.02 USD has been deposited to your account. Accounts: U15892435->U1355114. Memo: API Payment. Withdraw to ihyips from Hour Hash LTD.. Date: 08:07 15.02.18. Batch: 205200044. 15.02.18 17:16;Account;Receive;Received Payment 1.48 USD from account U15892435 to account U1294000. Batch: 205247608. Memo: API Payment. Withdraw to allhyipsinfo from Hour Hash LTD.
15.02.18 17:15;Account;Receive;Received Payment 8.88 USD from account U15892435 to account U1294000. Batch: 205247589. Memo: API Payment. Withdraw to allhyipsinfo from Hour Hash LTD.
15.02.18 10:13;Account;Receive;Received Payment 8.00 USD from account U15892435 to account U1294000. Batch: 205210997. Memo: API Payment. Withdraw to allhyipsinfo from Hour Hash LTD.
15.02.18 00:13;Account;Receive;Received Payment 7.4 USD from account U15892435 to account U1294000. Batch: 205177308. Memo: API Payment. Withdraw to allhyipsinfo from Hour Hash LTD.